Register Today For 360 Summer Camps & Clinics! 360 Volleyball Academy has a magnificent list of summer camps and clinics for grades 4th thru 12th! 360 offers All-Skills, Advanced Training Program and Positional Camps. For a complete list of camps & clinics please visit this page. At 360, we develop the whole child – physically, mentally and emotionally – to reach full potential on and off the court. In our circle, the core principles are to help kids train to improve as volleyball players, compete to win, and have fun while working hard and learning life lessons. Having fun while working hard and learning life lessons. The director of 360 Volleyball Academy is Dann Jacobson, girls’ varsity head coach at Nicolet High School, where he has served as a teacher and coach for more than 25 years. At Nicolet, and throughout Jacobson’s 15 years as a club coach, his teams and players have succeeded in club, high school and college volleyball. His positive coaching style, strength of character, sportsmanship, and experience teaching the game to players of various ability levels have earned him respect from opposing coaches and gratitude from parents and players. 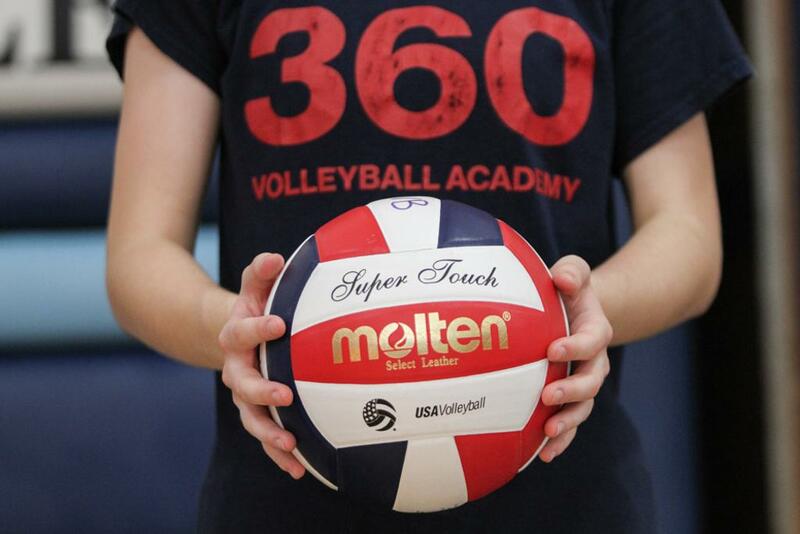 360 Volleyball Academy and its philosophy is the outgrowth of Jacobson's passion for volleyball, education, and helping kids develop to their full potential as athletes and people.